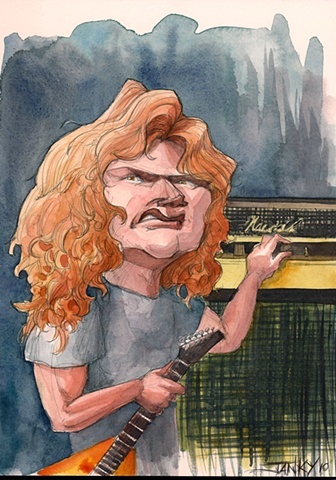 Dave Mustaine of Megadeth. Huge emphasis on his signature sneer. I've always felt Dave battled for position and recognition, so I emphasized the look saying "I'll show them!"